There's nothing quite as intoxicating as sumptuously colored silk shoes. Wouldn't these raspberry beauties be gorgeous against a lush green lawn in spring? 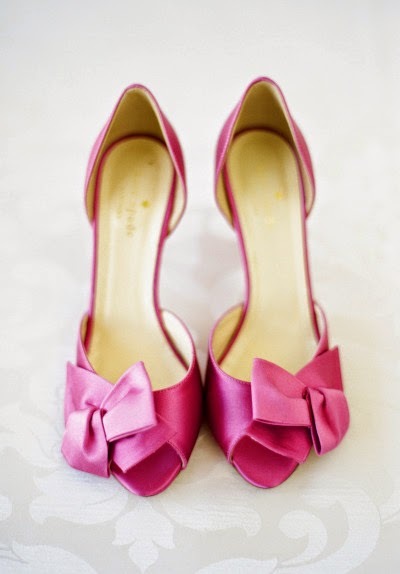 Image by Sweet Tea Photography, pink "Sala" peep toes by Kate Spade.